The Oregon Historical Society invites one and all to a special Oregon Statehood Day celebration on Sunday, 14 February 2016 at the museum (1200 SW Park Ave). 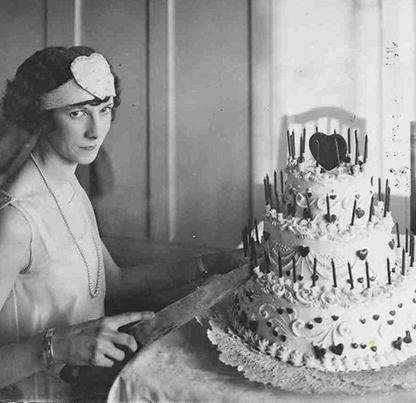 Celebrate Oregon’s birthday in style at the Oregon Historical Society! The one and only Thomas Lauderdale will be at the piano as former Governors Ted Kulongoski and Barbara Roberts lead the singing of “Happy Birthday.” Feast on cake from Gerry Frank’s Konditeri, and meet Gerry himself as he signs copies of the latest edition of Gerry Frank’s Oregon. Program and 157th birthday cake will be served up at 12pm. This event – and museum admission – is free and open to the public. Sunday is also your last chance to see the current exhibit, The Art of War: Propaganda Posters of World Wars I & II, which closes at the end of the day.